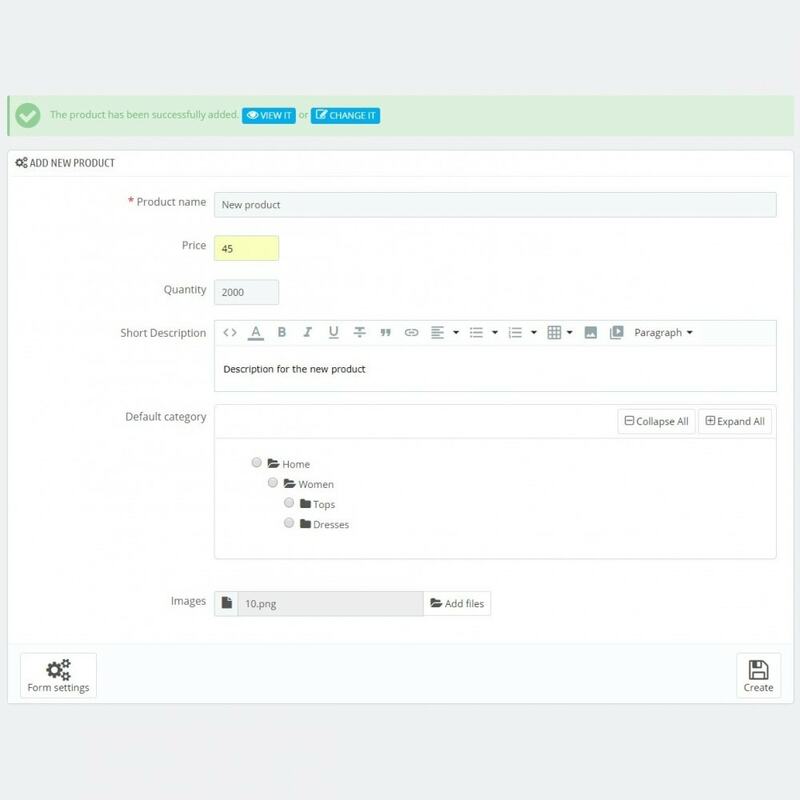 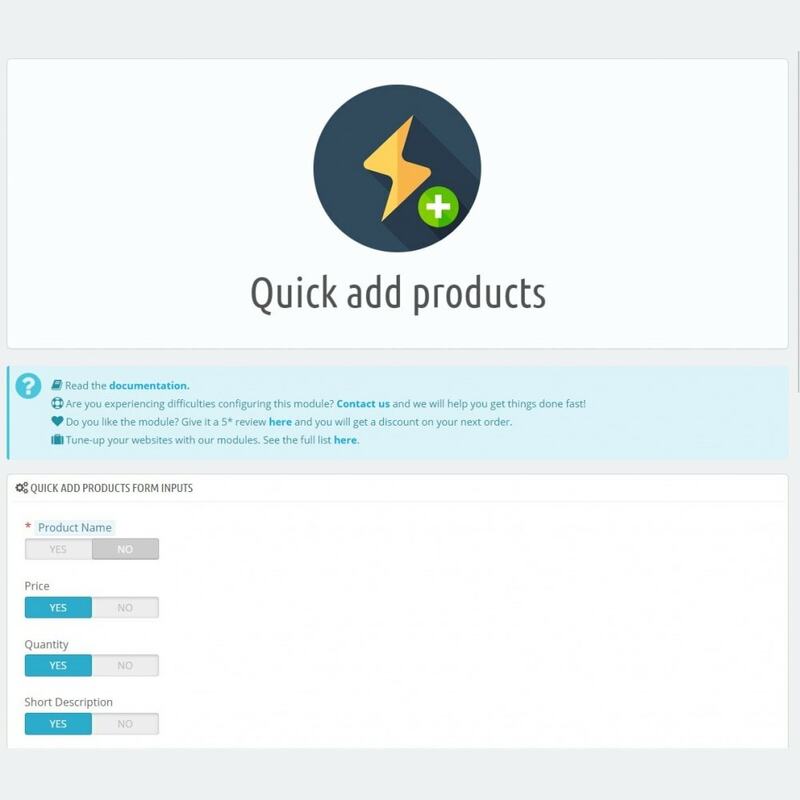 Quick add products faster a faster and an easier way to create products on your shop by allowing you to create a custom product adding form. 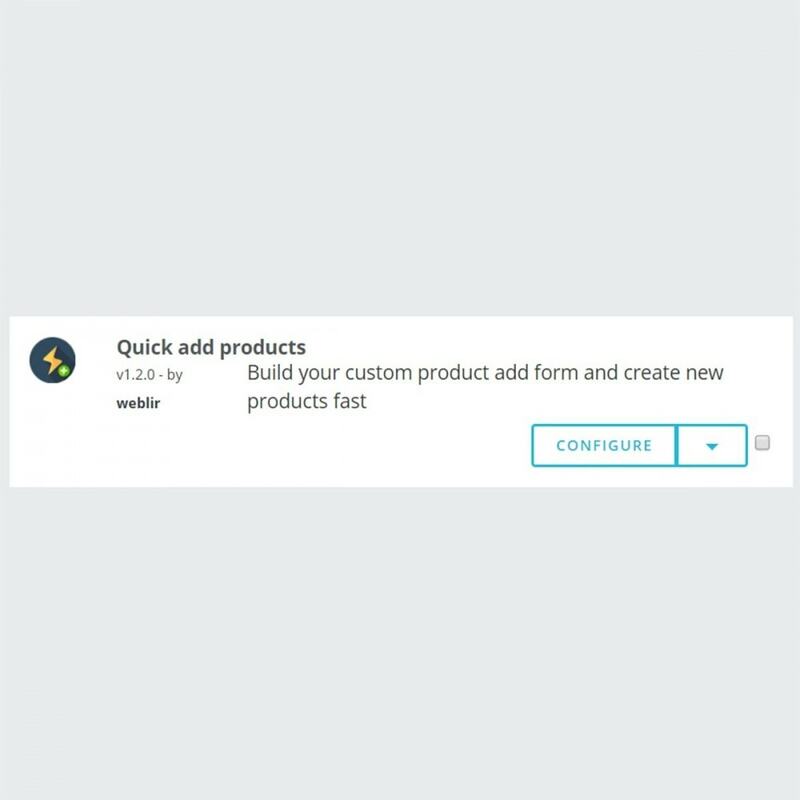 Simplify the product adding process by creating a special page that loads in a blink of an eye. 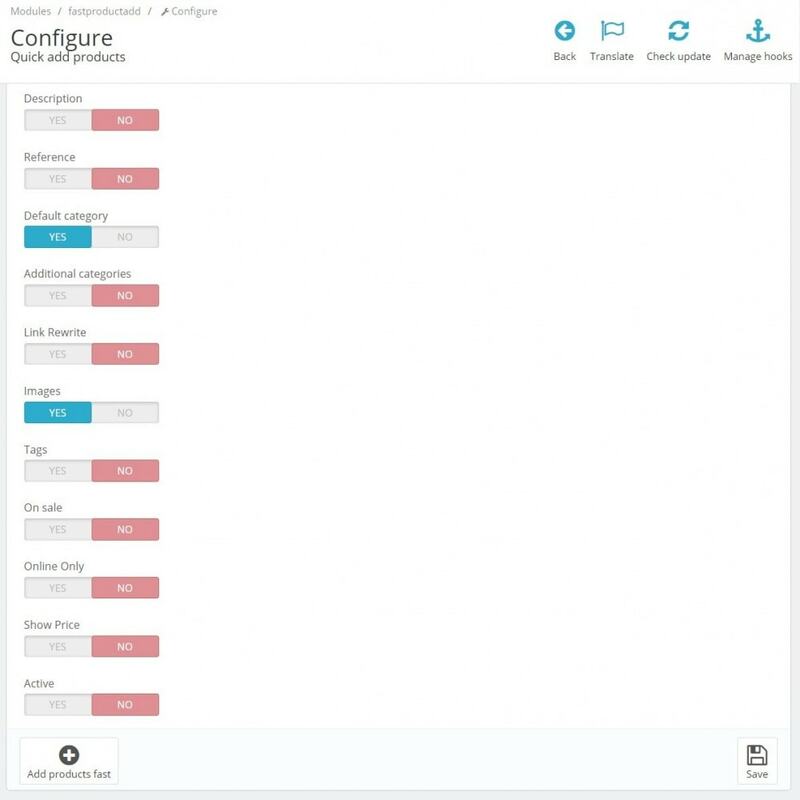 This page contains only the inputs you select. 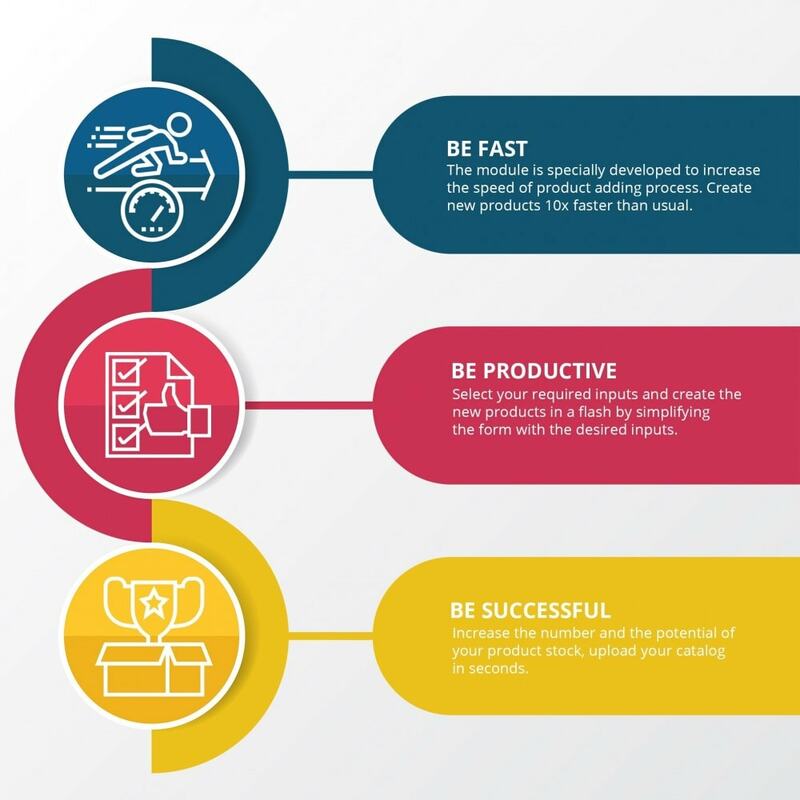 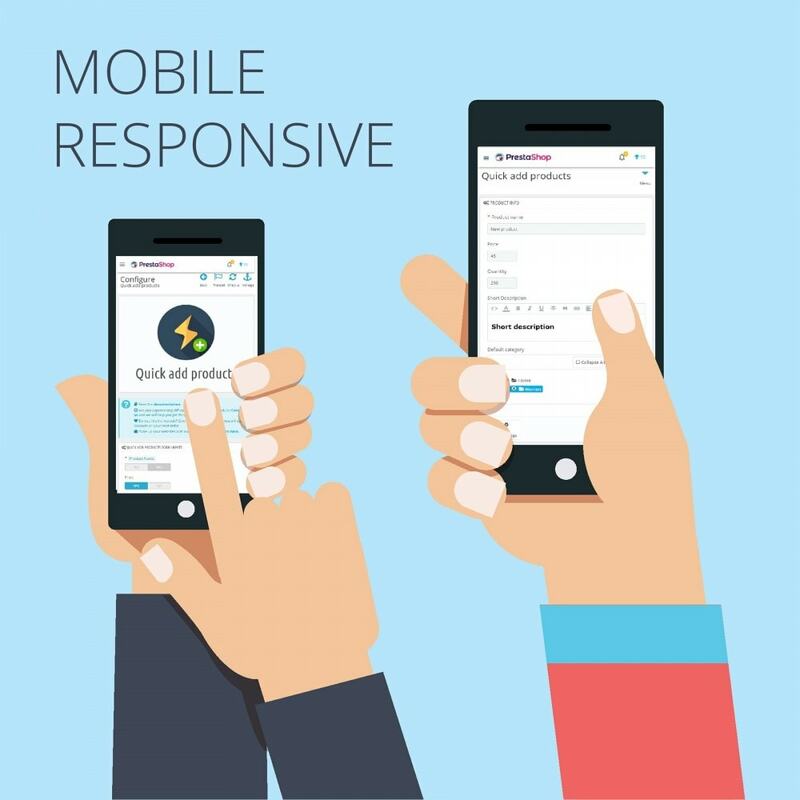 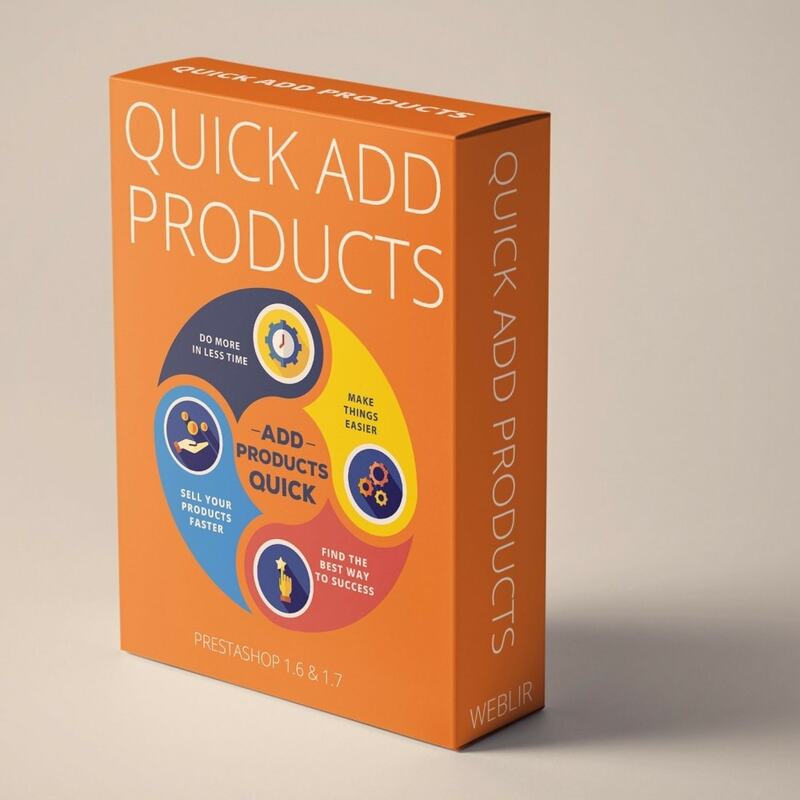 The product creation process is enganced and optimised using the Quick add products module.